Loomstate !Act Natural! Blog: Yeah it's the Yeah Yeah Yeahs! Yeah it's the Yeah Yeah Yeahs! 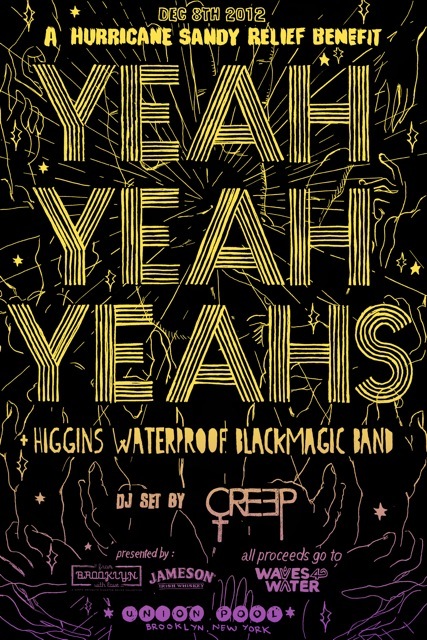 We are so excited that the Yeah Yeah Yeahs are coming to Brooklyn! Our friends over at Union Pool will be hosting the band on December 8th for a fun night benefitting Waves for Water and Sandy relief efforts. Tickets go on sale at noon today!